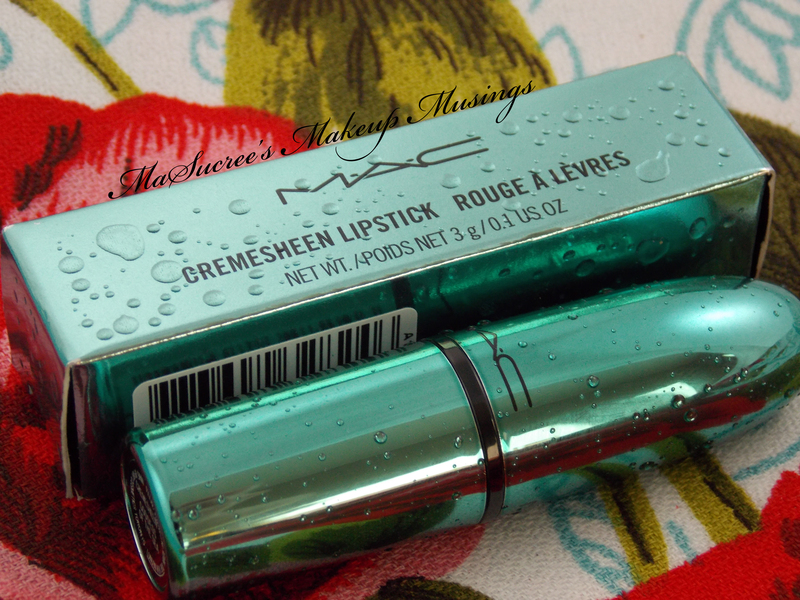 Today I have for your one of my latest MAC lipsticks, Goddess of the Sea from the new Alluring Aquatic Collection. Gah! The packaging of this collection is just so cool!! Metallic teal with water droplets! This collection was a bit of a comfort since I missed out on the Maleficent collection. Goddess of the Sea was one of the lipsticks I knew I had to get once I saw it in person. Of the swatches that we released online I thought Mystical would be for me, but Goddess of the Sea won me over. Oh man the packaging is just amazing! When MAC does interesting, cool packaging they do it well. In the tube it looks a like it is going to go as a full on purple, but on the lips it looks quite natural. Out of direct light – I like how glossy this is, it has a beautiful shine to it without being too much. In sunlight – I really enjoy wearing this lipstick, I think it looks so lovely on. Its a pretty rosey mauve (in my opinion) that looks quite natural and pretty for every day wear. I find that this lipstick does bleed a little, but a good clear liner fixes that straight away. It also has such a natural tint to it that as it wears away during the day it still looks fantastic. It is a Cremesheen finish and I find that these lipsticks look good no matter what condition your lips are underneath, it also does not dry your lips out as much as some of the matte ones can. 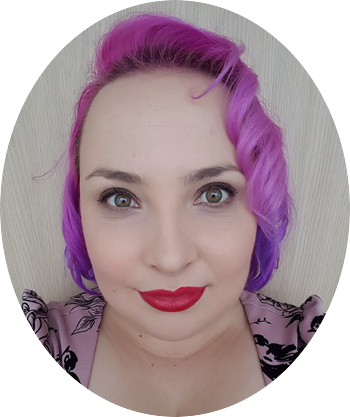 I am so glad I managed to score myself this pretty lipstick, the next day when I went back in they were already sold out. If you have it hiding away in your untried pile, get it out and put it on now. I think it will look good on all sorts of skin tones. Oh my gosh this is soooo pretty!! Is it me – just seen these and thought to myself – these look awfully similar to Make up Revolutions lipsticks but MUR are in pink – I can see where MUR are seriously drawing their inspiration from 🙂 Do you see it too?